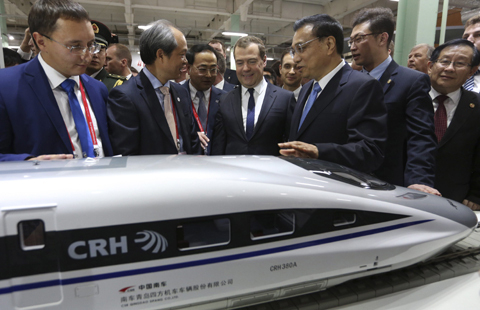 China will take a decisive stake in the next stage of Russia's transportation development, with Chinese companies building the country's first high-speed rail line. 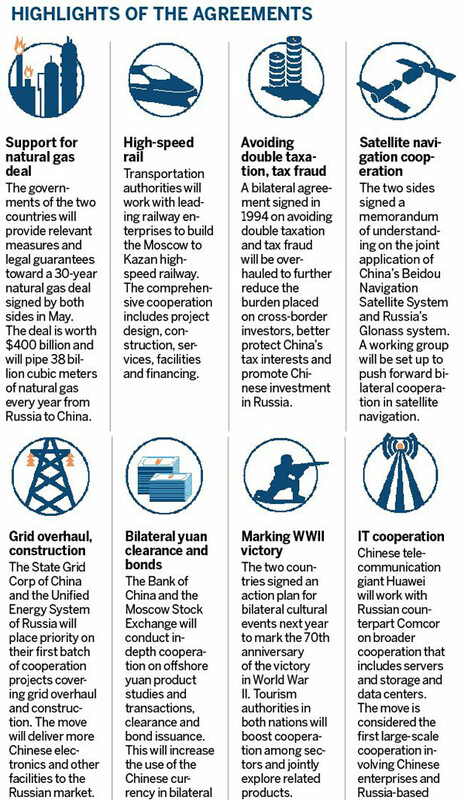 The agreement formed part of joint deals worth $10 billion being signed on Monday. Chinese firms and their Russian partners will hold talks on design, financing, supplying facilities and construction of a 770-km high-speed line connecting Moscow and Kazan, an important metropolis on the Volga River. This was one of 39 agreements being signed after Premier Li Keqiang and Russian Prime Minister Dmitry Medvedev met for the 19th Regular Prime Ministers' Meetings. Under the Russian plan, the line will form the initial section of a railway stretching to Beijing, with completion scheduled for 2018 in time for the World Cup soccer finals in Russia. Kazan is one of the host cities. Trains on the line will reach speeds of up to 400 km/h, shortening the traveling time between the two cities from 13 hours to three and a half, according to the Moscow Times newspaper. Under other agreements being signed on Monday, the State Grid Corp of China will help to upgrade Russia's electricity network. Details of the support measures, technical terms and legal protection were also settled regarding a $400 billion cooperation project to transport natural gas from Russia to China. A currency swap agreement was signed, allowing businesspeople to make direct settlement in the renminbi and rouble to prevent losses from an easing of the US dollar. Margarete Klein, a researcher on Eastern Europe and Eurasia at the German Institute for International and Security Affairs, a think tank in Berlin, said Moscow is willing to work hard to achieve breakthroughs in large cooperation projects with Beijing. This is because it wants to demonstrate that Russia is not isolated and, against the backdrop of EU sanctions imposed over the conflict in Ukraine. 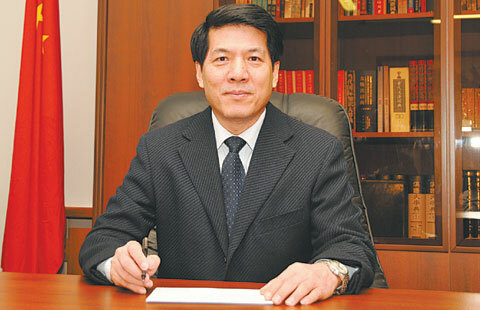 Yang Hao, a professor at Beijing Jiaotong University who researches rail transportation management, said China has advanced technology and valuable experience in railway construction and operations. Beijing is willing to export these, while Moscow wants to improve rail services and upgrade infrastructure. Yang said the two countries have a track record of rail cooperation dating to the 1950s, when China introduced technology, engineers and manuals from the former Soviet Union to build its own rail network. However, cooperation was sidelined in the 1960s as relations chilled. "Now is the time to reinvigorate this cooperation, as both governments wish," Yang said. 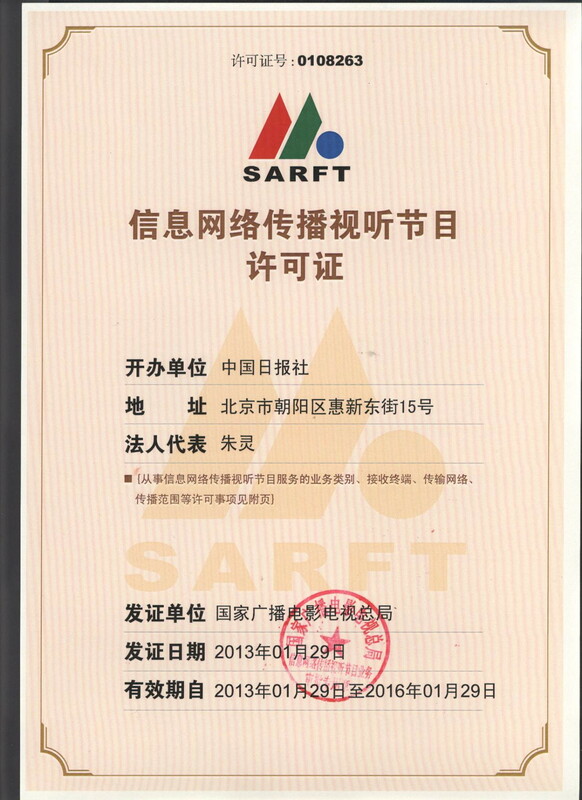 But such cooperation must first overcome a disparity in track gauges between the two countries, Yang said. "It will not be easy for Chinese companies to design or build Russian rail lines, because they will have to adapt to wide tracks and must make many changes to trains and equipment," Yang said. Gauri Khandekar, a researcher at Agora Asia-Europe, a knowledge hub on EU-Asia relations in the Brussels office of FRIDE, a European think tank, said more high-tech products will be exported by China, which has made significant technological advances. Khandekar cited high-speed trains as an "impressive example". 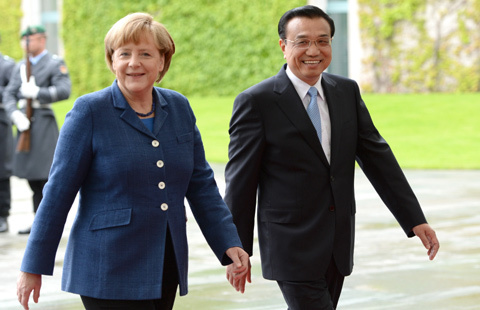 Chinese Premier Li Keqiang will visit Germany, Russia, Italy and the UN Food and Agricultural Organization(FAO) headquarters from Oct 9 to 15.